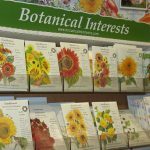 Botanical Interests seed packets are not only beautiful, but also filled with facts, tips, recipes and quality seed. They offer organic, non-GMO seed choices with heirloom varieties and instructions on how to grow. Read More here. 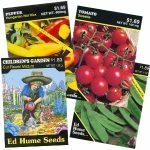 The Ed Hume seed line is specially selected for short season and cool climate areas. 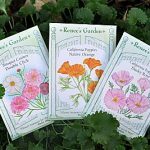 These varieties are perfect for high altitudes and early or late planting in warm climates. These seeds are untreated, non-GMO, and easy to grow! Read more here. New, exciting and unusual vegetable, flower and herb seeds. Products include time-tested heirlooms, Certified Organic seeds, the best international hybrids and fine open-pollinated varieties. These non-GMO seeds are tested and guaranteed for every major US climate zone. Read more here. 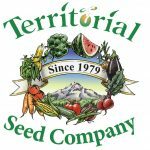 This local seed company enables gardeners to produce an abundance of good tasting, fresh from the garden food, twelve months a year. All of their seeds are tested to ensure quality and they offer organic, open-pollinated, and heirloom varieties. Read more here. 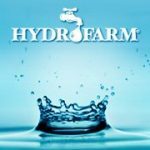 Hydrofarm is the nation’s oldest and largest wholesaler and manufacturer of hydroponics equipment and grow lights. These products are perfect for seed starting, aquaponics, and hydroponic projects. Read more here. 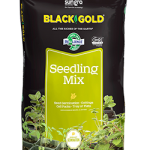 Black Gold® Seedling Mix is the perfect medium for germinating seeds and propagating cuttings, and the formula is the same blend used by professional greenhouse growers. Approved for organic gardening. This product makes growing easy! Read more here. 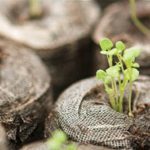 Planting pots made from compressed peat, which becomes completely integrated with the root system and is transplanted with the plant – protecting the sensitive young seedlings from ‘transplant shock’. 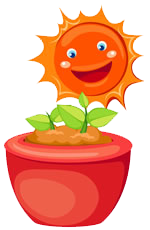 Many Jiffy products are 100% all-natural, compostable and biodegradable and meet the requirements for organic gardening. Read more here.